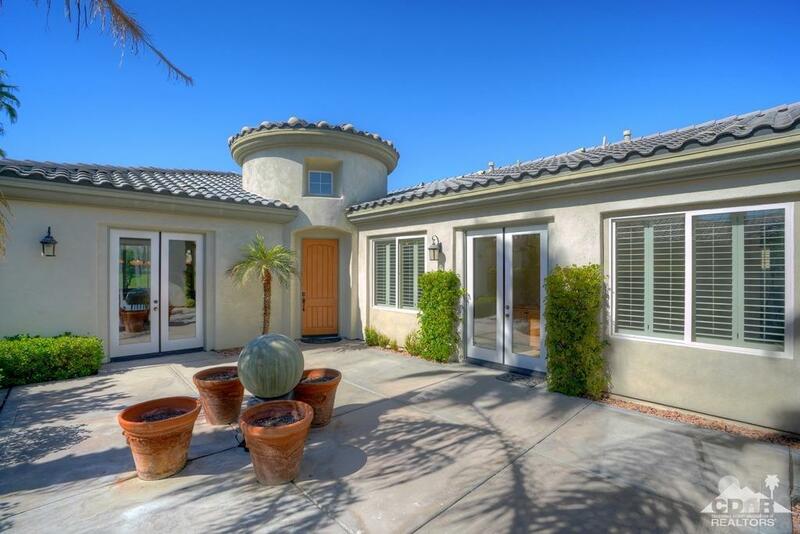 Spectacular west facing Santa Rosa Mountains & double fairway views of the private Weiskopf course define this remarkable 3 BD, 3.5 BA home in PGA Legends. A circular entry foyer makes a stately entrance. 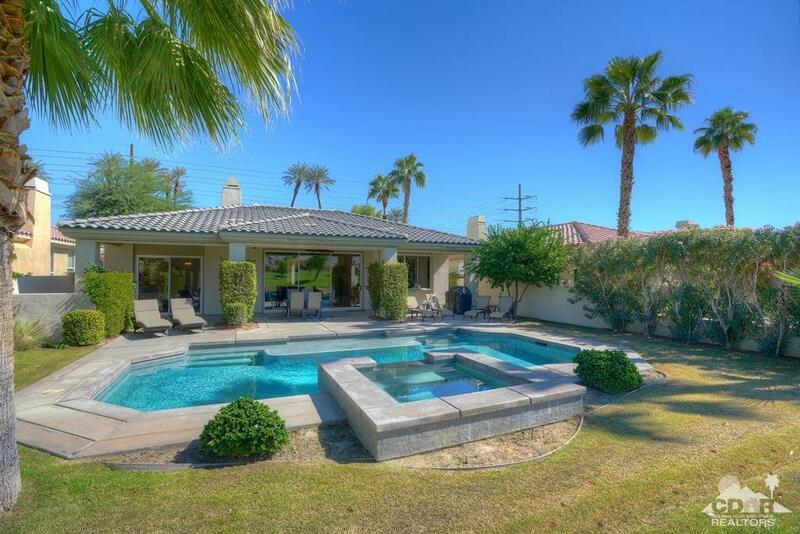 Once inside you will find a great room with high ceilings, travertine floors, and breathtaking views. The living area features a stone clad fireplace and wet bar. Impressive 9 ft pocket sliders usher you to the expansive outdoor area. The kitchen has granite countertops and a cooking island with breakfast bar. An adjacent dining area is spacious with french doors that overlook the courtyard. All bedrooms are en suite with their own bathrooms. The master bath features a large walk-in closet, soaking tub, double vanities and large tiled shower. 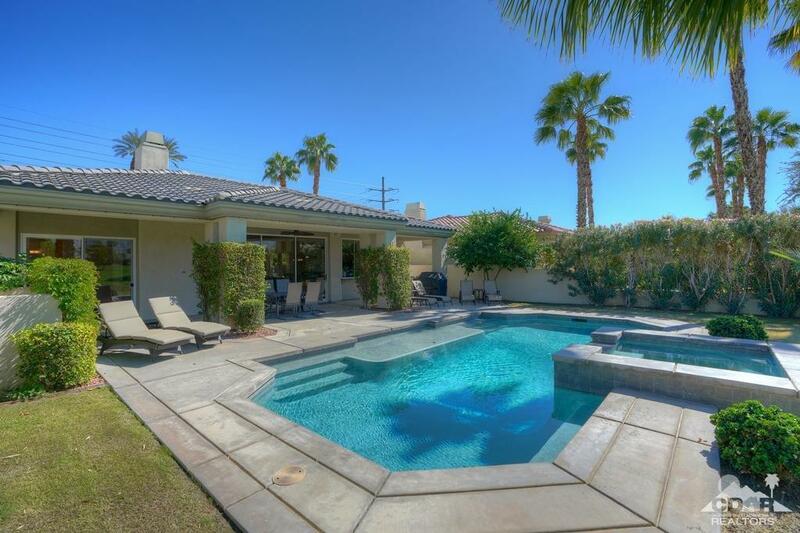 Step outside, and savor a sparkly pool, spa, covered patio and BBQ. La Quinta Resort is aprox 5 miles from PGA West. OUR GUESTS ENJOY FULL USE OF THE FACILITIES AT LA QUINTA RESORT. 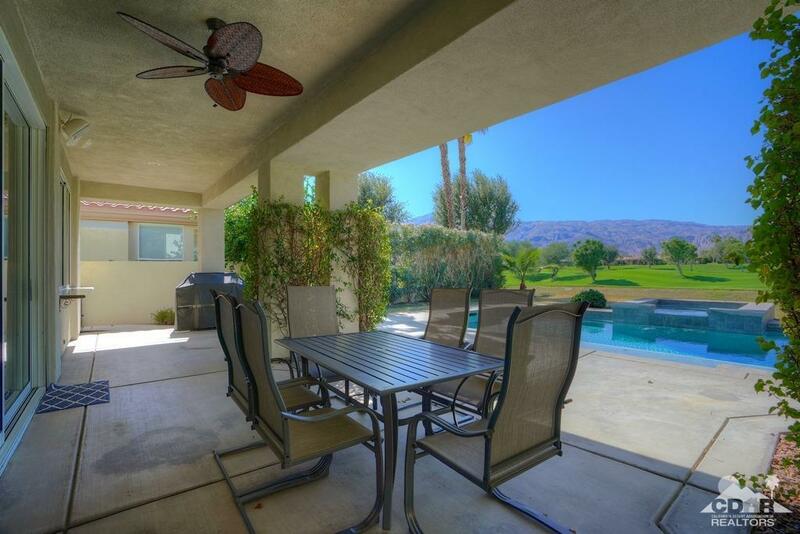 Listing provided courtesy of Brett Arias of La Quinta Resort Leasing.